Daniela Vega is a force to be seen and heard in Sebastiàn Lelio’s heartbreaking, transgender saga that swept the best Foreign film at the recent Academy Awards. Following Marina after the death of her partner, Orlando, she becomes the subject of scrutiny from his family in increasingly awful ways. From Orlando’s ex-wife to his brother and children they all view Marina in a skewed and unaccepting light. From the subtle to the overtly ugly, their barbed jabs pick away at the confidence that Marina had built up through her life. Thankfully, the film never aims for pity with her viewpoint. She is strong and willing to fight for her rights in the face of almost constant persecution. Coupled with an alluring and seductive soundtrack and inventive camerawork that pays homage to multiple classic film styles, even throwing in a dance number to boot, the film showcases a director and star at the peak of their inventiveness. Vega is astounding in her performance. Putting up with the slurs and attacks from her lover’s family she is never completely taken down. 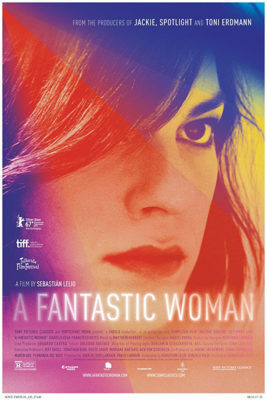 The things that happen to her character are completely aggravating and hard to watch but her resilience is honestly a true revelation.The filmmakers have crafted a delicate, understanding and provoking film on the fall out of love and the power needed to fight against the whatever oppression comes your way.